Farm Description and Practices Moondance Farm is a family farm nestled in the foothills of Mount Baker. 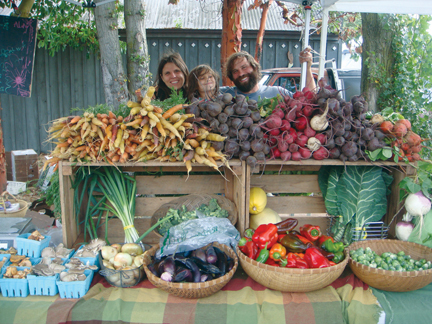 The farm’s focus is to grow nutritious organic food in unison with family and community. We farm because we have an opportunity to nourish the land while also feeding our family and our community. In addition to growing staples such as greens, broccoli, cabbage, carrots, beets, garlic, and squash, we enjoy growing unique crops and heirloom varieties from other regions.